Democratic Colorado Gov. John Hickenlooper is considering a special legislative session to limit what he considers the dire effects of a possible hydraulic fracking ban in a state heavily reliant on energy production. Coloradans are preparing to vote on Nov. 6 on an initiative prohibiting oil and gas drilling within 2,500 feet — nearly a half-mile — from buildings, which is up from a current limit of 500 feet. 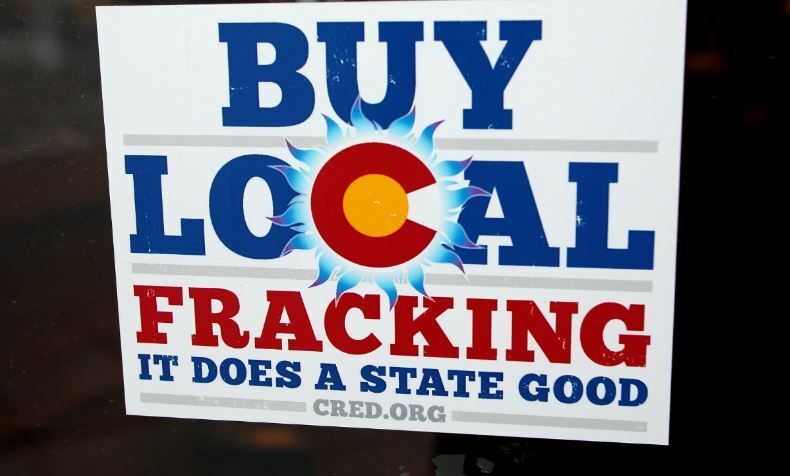 Experts worry a yes vote could result in the destruction of the state’s fracking industry. Fracking is a major part of the Colorado economy, Hickenlooper told reporters Friday. Any measures designed to effectively end natural gas extraction will obliterate the state’s economy, he said. “This is a big part of state’s economy. You’re talking 15 percent, some people say as much as 20 percent, of the state’s economy. And suddenly it goes to half? That is how you spell recession,” said Hickenlooper, a Democrat and long-time champion of fossil fuel production in his state. Hickenlooper’s call for a special session is receiving bipartisan support from Republican gubernatorial candidate Walker Stapleton. “I would pursue every redress possible for that job-killing measure,” he told reporters in October. His opponent Jared Polis, a wealthy Democratic lawmaker, said in a debate in October that if the measure is approved, then he’ll preserve “the sanctity of the will of the voters” and allow implementation. Polis’s estimated net worth exploded from $176 million in 2009 to $314 million in 2015, according to financial disclosures reviewed by the Center for Responsible Politics. There is no guarantee that lawmakers will delay implementation even with a special session. The Democratic majority leader in the House, Rep. KC Becker of Boulder, has come out in support of a fracking ban. The Centennial State is the seventh largest state for oil and gas drilling. The rise in industry activity corresponded with an increase in the state’s population, causing more friction between residents and industry in recent months. Oil production in Colorado tipped dramatically upward from 2004 to 2014, as the state’s natural gas output leaped by 51 percent, according to research compiled by the U.S. Energy Information Administration. Energy analysts argue Colorado’s expanding population is creating a type of NIMBY (not-in-my-backyard) effect. Colorado’s population has grown to more than 4.5 million people over the last decade. The state’s oil production has skyrocketed nearly 500 percent and natural-gas production is up nearly 35 percent during that period.